Although the use of organochlorine pesticides has been forbidden for decades, it is still affecting our soils. This is the conclusion of a research group from Universidad Politécnica de Madrid after an exhaustive study carried out in the Laguna del Hito, a Special Protection Area for Birds. Researchers from School of Mining and Energy Engineering from Universidad Politécnica de Madrid (UPM) have used organic geochemical to study the concentration and distribution of organochlorine pesticides in Laguna del Hito (Cuenca, Spain) as well as its origin and degradation state. This area is protected by diverse national and international directives. The results revealed concentrations that lead to a higher risk than the maximum acceptable for human health or ecosystems. The organochlorine pesticides are compounds that are insoluble in water and as a result they accumulate in the organisms and have a high chronic toxicity. They are persistent due to their resistance to degradation by solar radiation, temperature, humidity and metabolic processes. Consequently, these compounds remain in the environment for a long period of time. In this regard, they can be transported long distances, from populated areas to nearby water bodies and remote tropical, temperate and polar ecosystems. Occasionally, these pesticides are carcinogenic and mutagenic. As a consequence, the organochlorine pesticides were forbidden in Europe and North America. Later, in 2001, the Stockholm Convention of the United Nations drew up a list of persistent organic pollutants that includes this compound. However, many developing countries are still using and manufacturing this compound. In Spain, these types of pesticide have traditionally been used in agriculture and they were produced for decades until their prohibition, but concentrations of this compound are still detected in environmental samples. The Research Group of Environmental Studies (GEA) at UPM addressed a study to determine whether the organochlorine pesticides persist in the Laguna de El Hito (Cuenca, Spain). 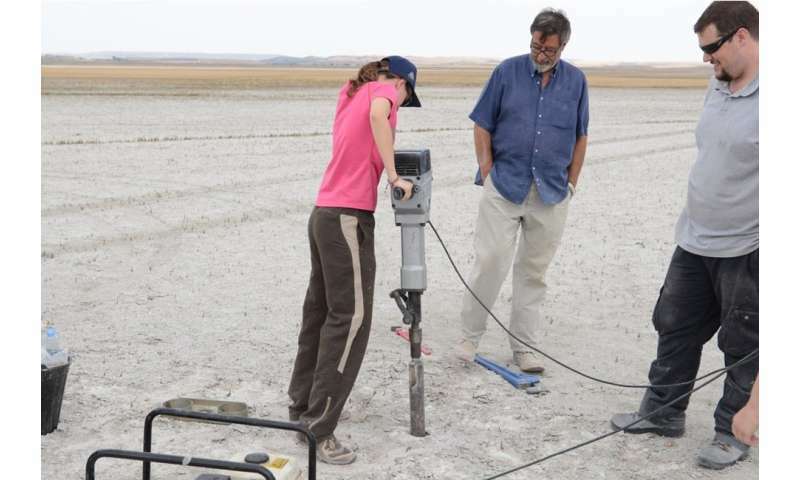 The researchers carried out an exhaustive campaign collecting samples of soils, water and sediment of the lagoon. The organic fraction of the samples was extracted and analyzed by chromatography at the Biomolecular Stratigraphy Laboratory at UPM. According to the R.D. 09/2005 of the Spanish Legislation, some samples have shown higher concentration than the Generic Reference Levels for human health and ecosystems. Professor Yolanda Sánchez- Palencia, a researcher involved in this study, said, "we have to pay attention to this issue since this area is home to numerous bird species and can be affected by these compounds". The use of geochemist indices allowed researchers to determine both its origin and its degradation state, indicating the historical applications along with some recent contribution. The distribution maps shown a clear correspondence between the agricultural and livestock activities and the maximums determined, having a higher concentration in the sediments of the lagoon than in the soils of the basin since the lagoon acts as a natural concentrator of the compounds dragged by the runoff or directly from the atmosphere. 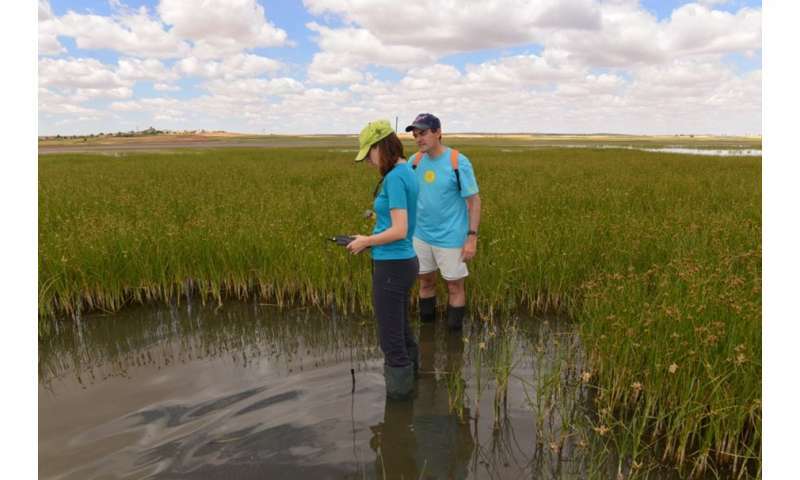 This study shows a situation that it can occur in other Spanish wetlands. As a result, the researchers suggest including some organochlorine pesticides in Spanish Legislation for soils, since we do not have the Generic Levels of Reference to establish its possible environmental affection. The researchers involved in this project also propose to implement procedures to control the use of pesticides and insecticides in agricultural and livestock activities.